Nina's Time Out: A Unity Challenge! 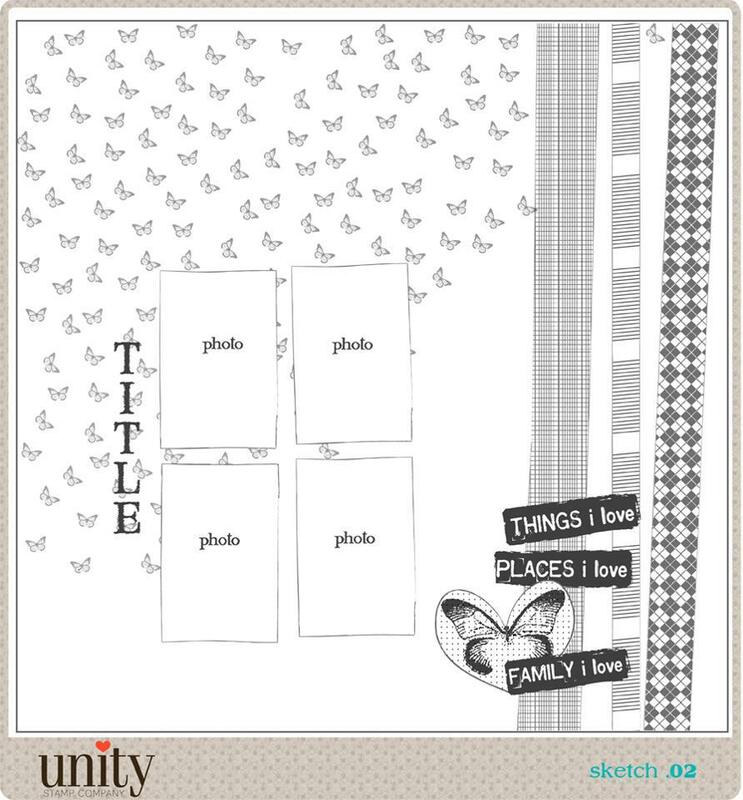 I love Unity Stamp Co!!! They started a new sketch/colour challenge on their blog last month. I didn't get a chance to join in then (darn missing mojo....) but the new challenge was posted today and I am DONE! You can check it out here. So cute! I love all those butterflies (and I have that stamp!!)! 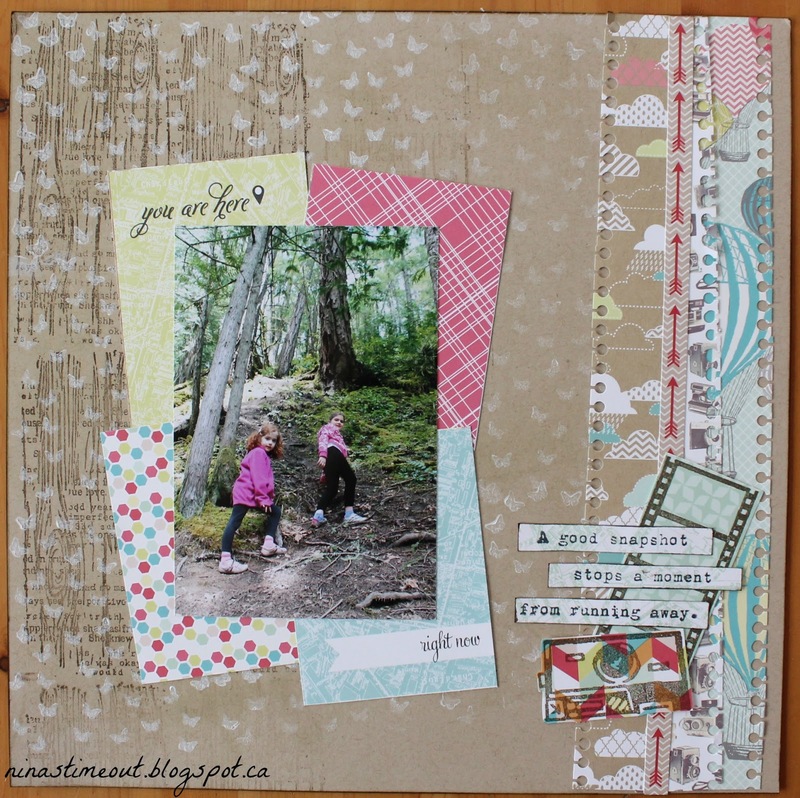 I don't do much stamping on my layouts, but I am VERY happy with how this one turned out!!! I stamped the wood grain script first with distress ink and then I stamped the butterflies using gesso! I did another LO yesterday with pictures from the same hike, using the same papers. This LO I did for the weekly challenge at CropChocolate.com (Spring Break theme) and for the Facebook Challenge at Scrapbookin' Adventures (use the negative image from a die cut). I have two more sets of pictures from this hike that I plan to scrap. I think I will stick with the same paper collection, so they all go together. 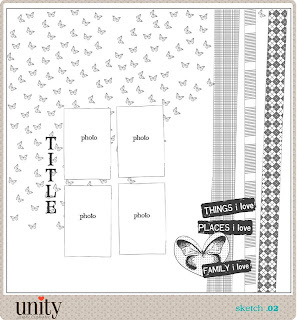 Wow Nina I love both of these layouts, so pretty, I have to get that butterfly set! Love them :D great papers ! Gorgeous layout love the paper selection and the colors. Thanks for taking the Unity Challenge! Great layout for the Unity sketch! Love how you used 4 background blocks under your pic instead of four pictures! both layouts are really pretty. Love your use of the sketch for this layout Nina! Just beautiful!